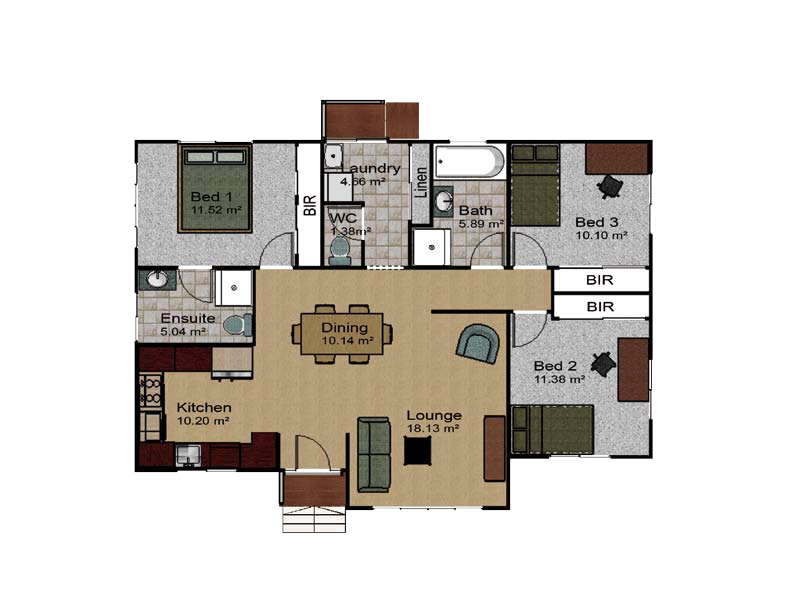 The Devan features 3 large bedrooms with built-in robes. A gable was added to the main roof to accentuate the entrance and living area. The main bedroom has a spacious ensuite and built-in robe. The kitchen, dining and living areas are combined to offer a large entertainment area without unnecessary hallways. This home is perfect for first home buyer and investors.